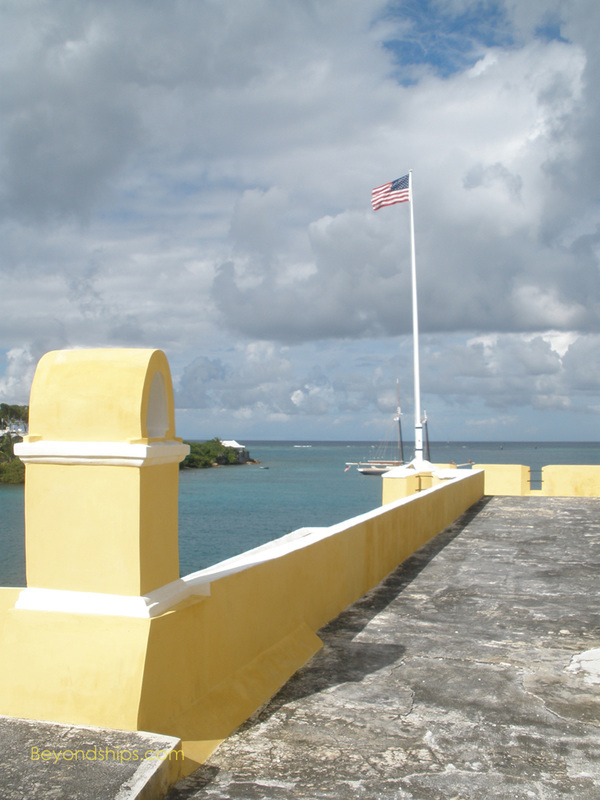 Christiansted is the largest town in St. Croix. 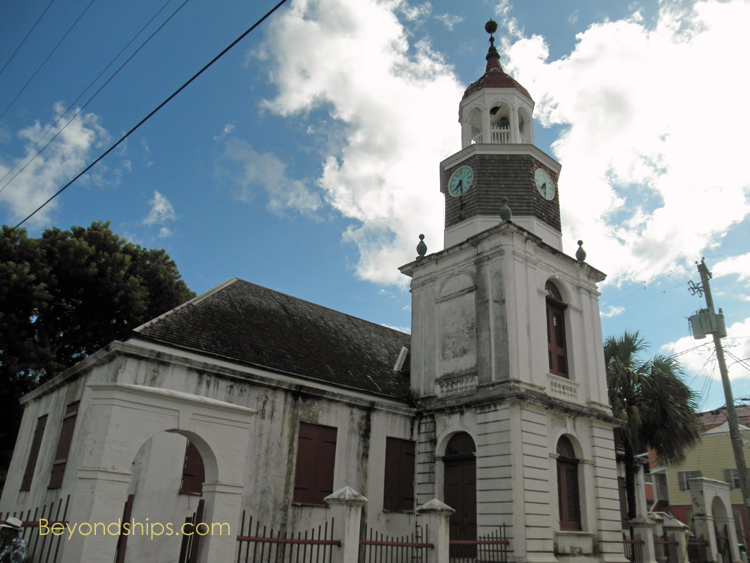 It has numerous examples of Danish colonial architecture. 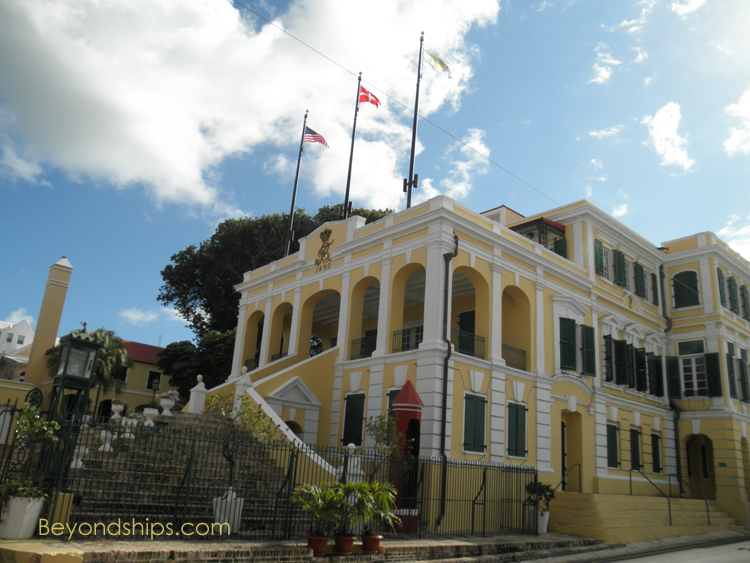 Government House (left) was built as a private residence in 1747. However, a few years later, it became the residence of the governor general. The original residence was joined with adjoining townhouses in order to create the current structure. It combines elements of neoclassical and baroque architecture. Across King Street from Government House are a row of arcaded buildings that served as warehouses during the Danish period. In among these is the Alexander Hamilton House, where the future drafter of the United States Constitution and American statesman spent part of his boyhood. 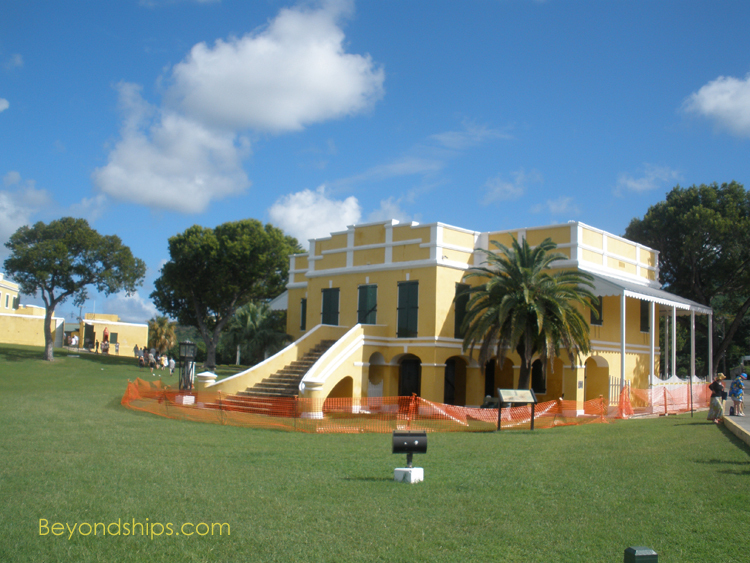 Christiansted National Historic Site by the harbor, consists of five historic buildings surrounding an expanse of green park. 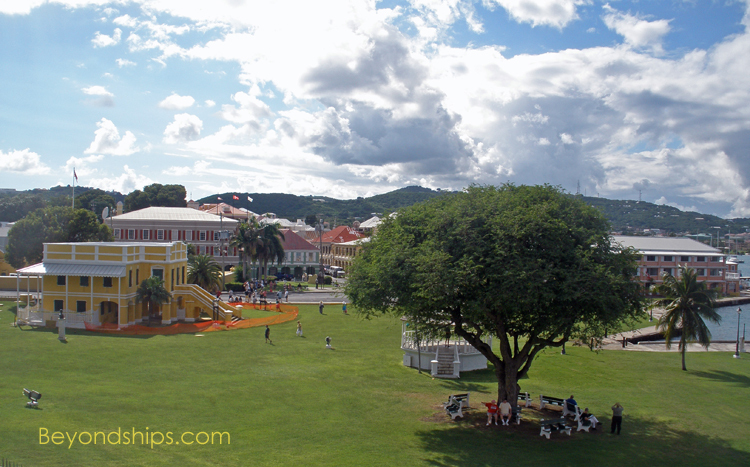 The park's mission is to preserve the historic buildings and to interpret the economy and way of life on the island during the period of Danish rule 1733 to 1917. It is open from 8 .am. (9a.m. Saturday and Sunday) until 4:45 p.m. 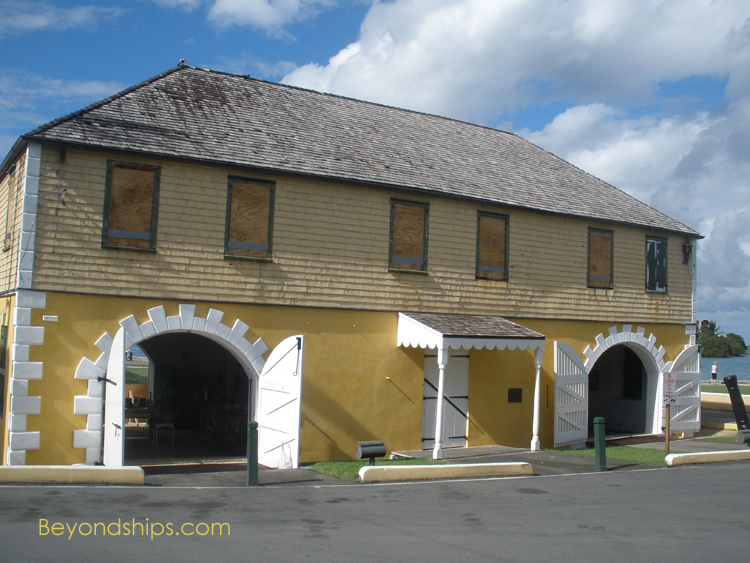 In colonial times, The Scale House was where items destined to be exported from the island (e.g. sugar and rum) were brought to be weighted in order to determine the amount of taxable duty. 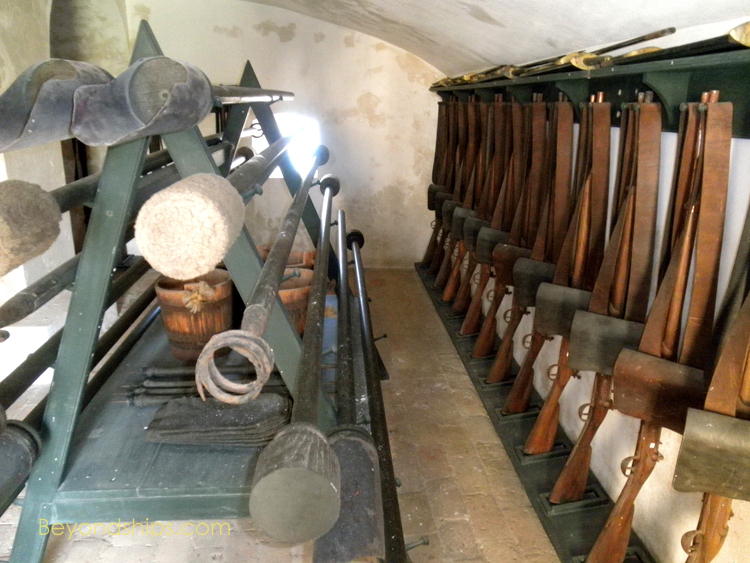 The weighmaster’s office was on the first floor and soldiers were quartered upstairs. This building was erected in 1856 to replace an earlier weighing house. 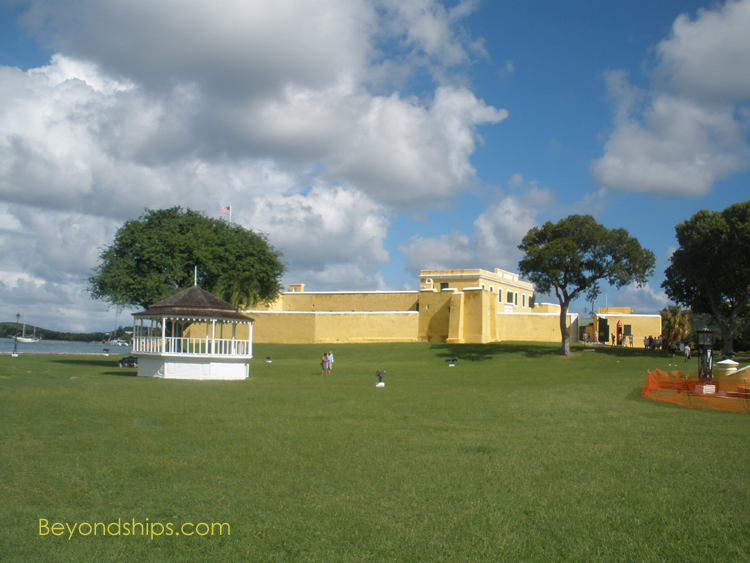 Fort Christiansvern is the centerpiece of the historic district. 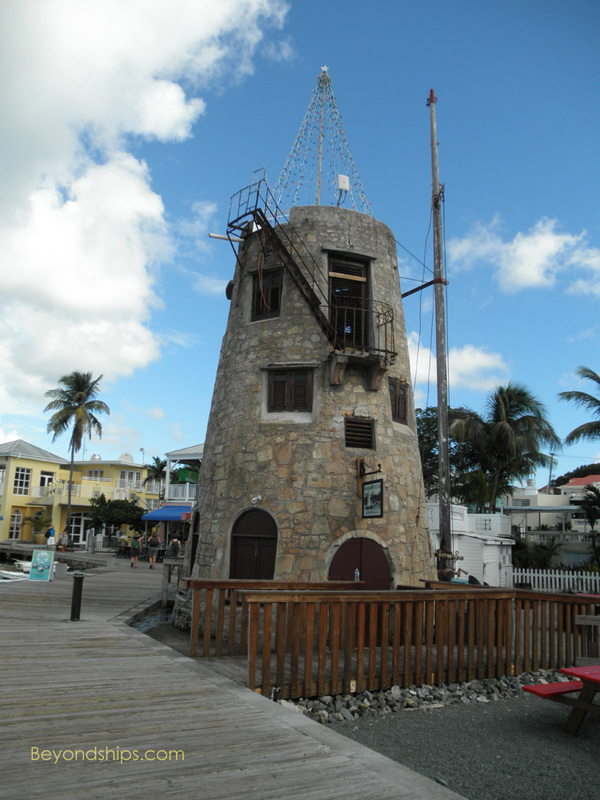 Constructed in the 1750s in order to guard island's commercial activity from pirates and privateers. The garrison of Danish troops primary responsibility was internal security including safeguarding against slave revolts. 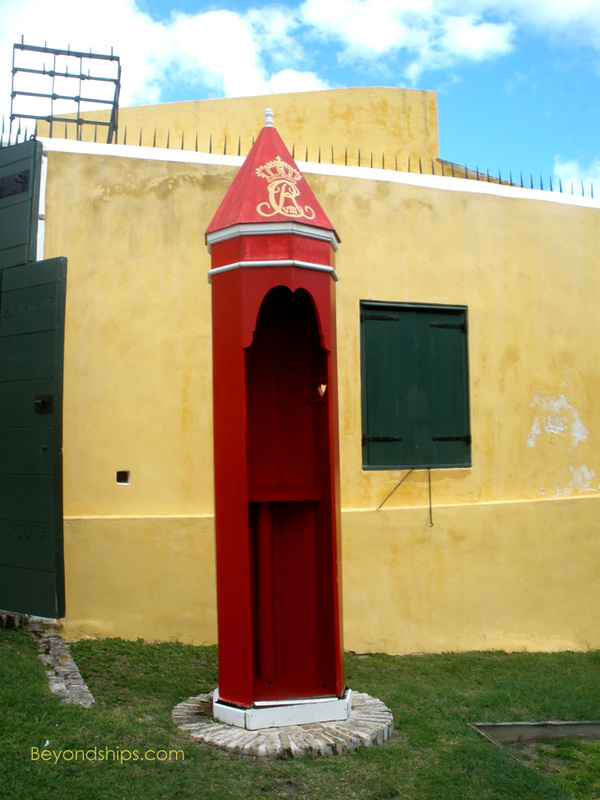 The fort has been restored and includes exhibits about life in the fortress. 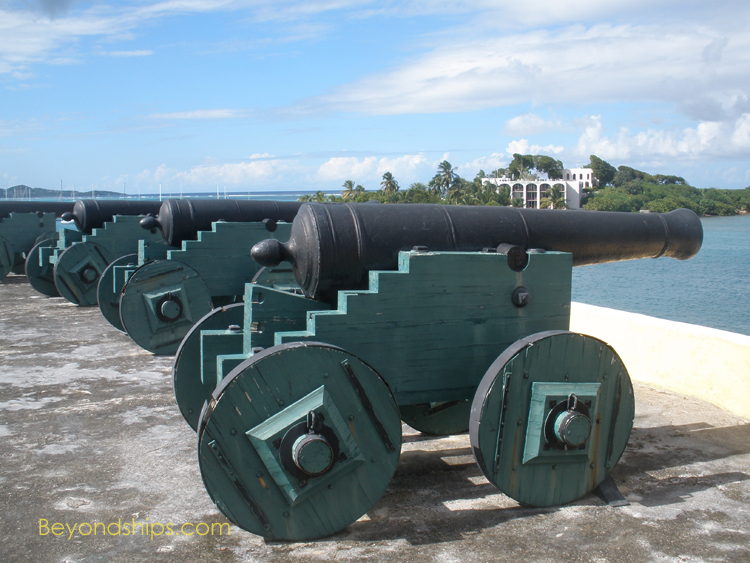 In addition, there are signs explaining how the guns of the fort worked with other batteries to defend the harbor. 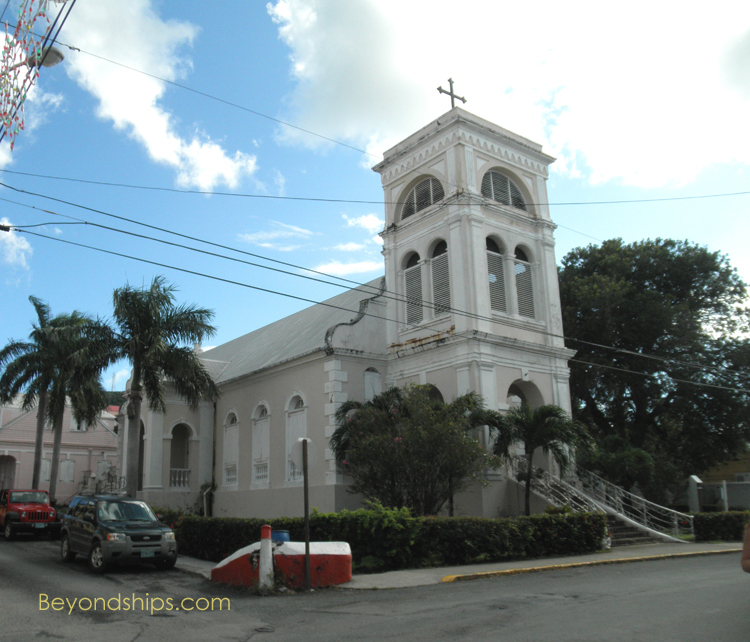 Lord God of Sabbath Lutheran Church (right) established in 1734 is Christainsted's oldest church. 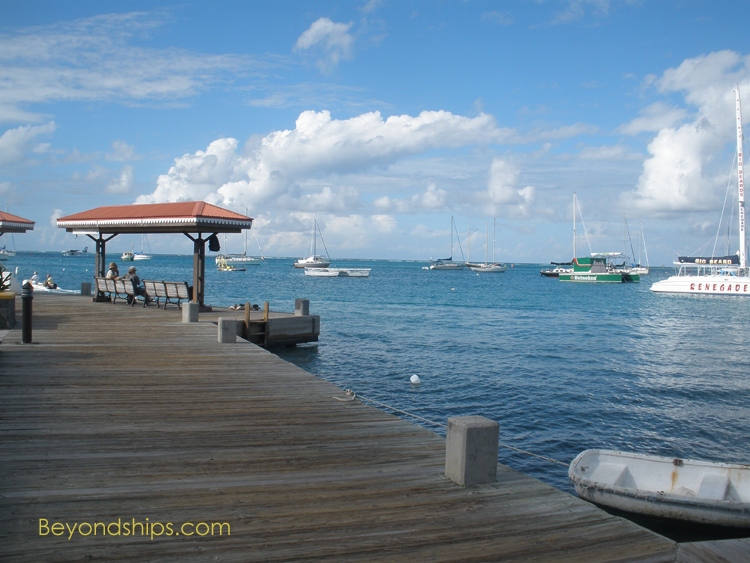 A boardwalk has been constructed along the harbor in the Kings Wharf area with pubs, cafes and shops.